by francois on August 21, 2015 in Travel Schedule. 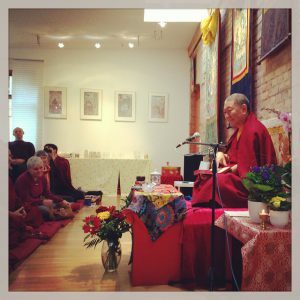 Mark your agendas, Rinpoche has accepted to lead a second Winter Retreat in Bodhicharya Berlin to raise funds for the new temple. It will probably take place in early December 2015. The full details should be available around mid-september. The dates for the next Bodhicharya Summer Camp are also known. It will once again take place at the Centro de retiros, Soutelo, near Braga in Portugal from August 1st to 7th 2016.